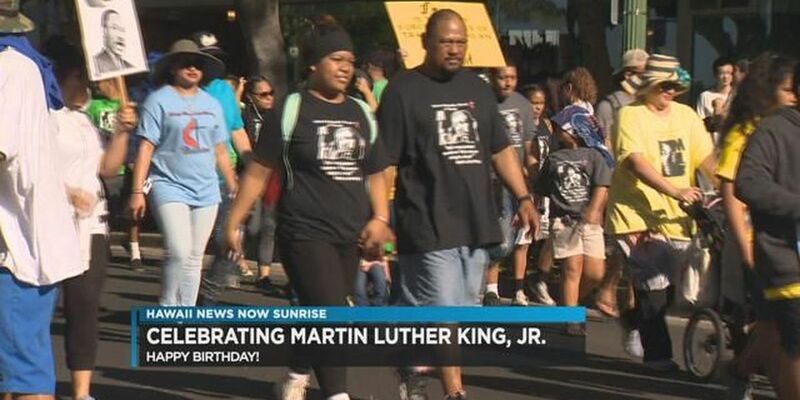 HONOLULU (HawaiiNewsNow) - Honolulu's Martin Luther King, Jr. holiday parade is Monday, January 16, 2016. About 8,000 people participate to proceed from Magic Island down Ala Moana Bld. to Kalakaua Ave. ending at Kapiolani Park. The Parade begins at 9:00 am. Police will begin to close the streets at 8:30am. Side streets in Waikiki will be closed once the parade begins.